Sometimes explaining the difference between data, information and knowledge in the context of data mining becomes confusing. I have created three slides that I use to explain this difference. I am going to share them today. 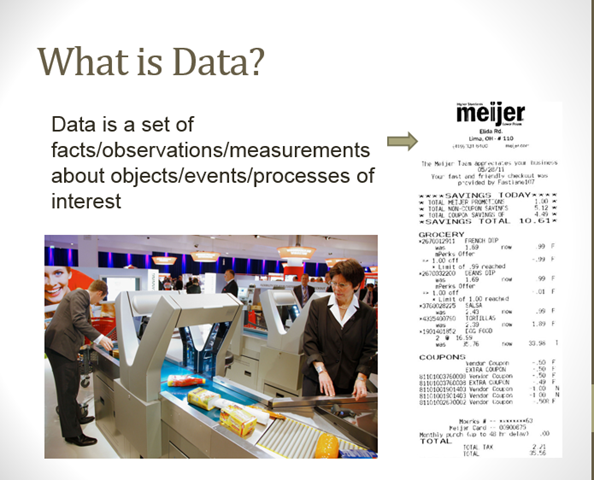 The first slide talks about what is data. 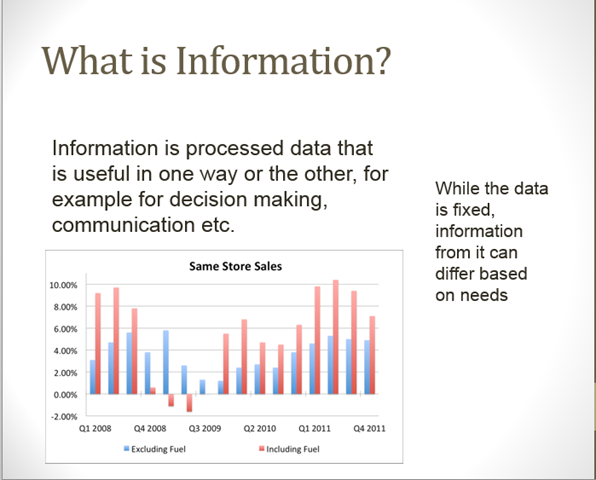 The second slide shows how data becomes information. 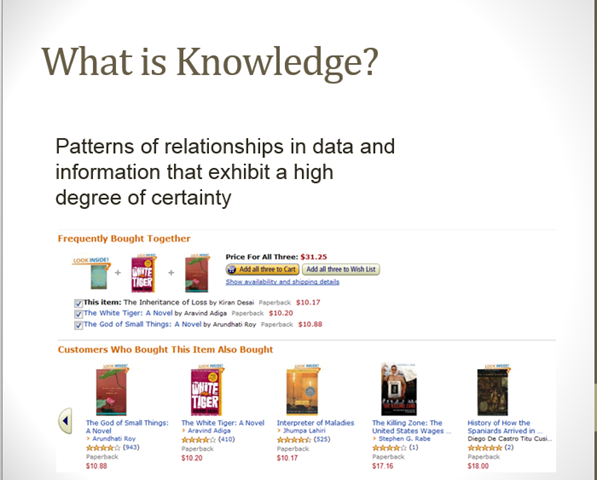 Finally the third slide explains what is knowledge. Let me know what you think of this explanation. Now that you have browsed through the post, please give your feedback by rating it. Thanks! Also email me a topic that you would like to see covered in a future post. From Data to Decisions Blog at WordPress.com.